433Mhz Wireless Mode:connect wirelessly with the computer via USB receiver, when you scan a barcode, the value is entered into the location of the cursor. 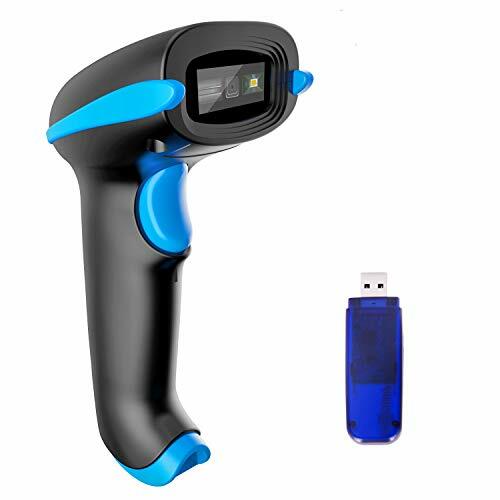 Without the entrapment of cords, wireless barcode scanner allows you to move your scanner to the inventory instead of hauling the inventory to your scanner when it comes time to count inventory. Not only does it allow your employees to instantly upload the barcode to your computer. But they also allow for storing the barcode inside the built-in storege of the scanner and then batch upload the data to your computer later when you need them .Internal offline storage (16M)supports up to 10000 barcodes. If you have any questions about this product by NADAMOO, contact us by completing and submitting the form below. If you are looking for a specif part number, please include it with your message.